Working from home is fantastic, it gives you freedom to do what you enjoy around other commitments you might have and provides a range of benefits. It does however, have its draw backs, working from home means no sick/holiday pay, you don’t work you don’t get paid, it also means you are responsible for completing your own tax returns and sorting out things like your own office equipment. This might not seem a big thing, after all its’s only a desk and chair right? Wrong. If you do not have your office set-up so that it allows you to do your job effectively and safely, then you might find your work outcome is compromised, your quality of work reduces and/or you start to suffer with your health. Before you even think about setting up your home office you should first familiarise yourself with the health and safety guidelines. Things like the height of your monitor, getting the correct lumbar support from your chair and having aids to help support things like your wrists when typing/using a mouse are all very important for your health. The next thing you should think about is the stage your business is at and where you would like it to go. This will help you to determine how much and what kind of furniture you need to store all of your paperwork and house the equipment you need, helping you to avoid going crazy and buying too much, or being reserved and buying too little. 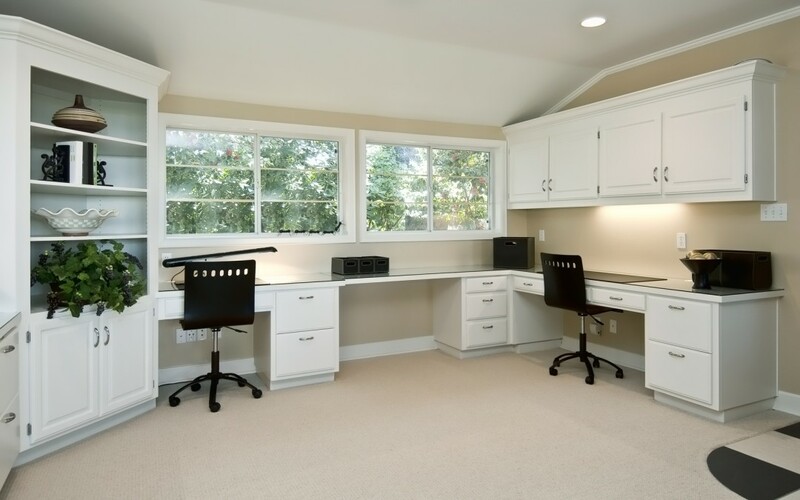 A desk: something large enough to house your computer, phone, printer and any paperwork/folders/stationary you might have. Try to get a desk that has good storage space or drawers if possible. A good chair: though you might want to kit out your office as cheaply as possible, you should invest in a good chair. You need something that is going to provide you support while you work away for hours, something that is comfortable and is the right height. Lighting: this is incredibly important, especially if you work odd hours ad are often working late at night where there is no natural light. Of course, try to use natural light wherever you can, but make sure you have additional lighting for occasions where the natural light just isn’t light enough, you do not want to strain your eyes. Storage: drawers or a filing cabinet is perfect for storing all of your paperwork. If any of this is confidential, you should consider buying drawers or cabinets that lock and you could even buy fireproof ones so that you do not lose all of your essential paperwork. There are many other pieces of furniture you can buy for your office, if you have the space, but this is enough for you to get started on creating the best office for your needs.